Here's a couple of the birds I brought to Westlake with me. This first mallard was for the gunning bird contest on Sunday. The rules are very strict about carved detail so I carved the primary feathers to appear as if they were raised, even though they are not individually carved. It took third place in mallards. I hoped to do better, but it did pretty good considering there were over 20 birds in the pool. Here's the birds all sealed up before paint. And here it is painted. 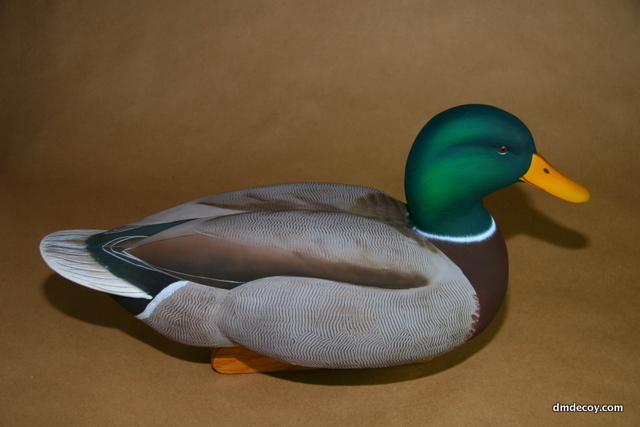 Here's another mallard I entered in the Saturday IWCA contest. This type of contest allows for more carved and painted detail. This mallard took third best in marsh. I sent a couple mallards to the California Open show last weekend. They were both entered into the working decoy category. I didn't have anything quite ready for the IWCA Style contest. I took 1st and 2nd in mallards and the drake went on to win 2nd best of marsh. 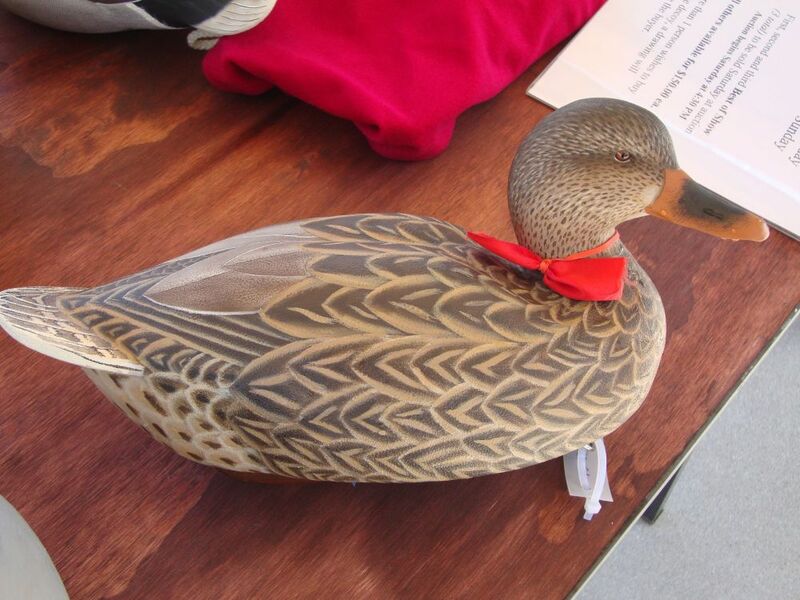 I don't have any pictures of the birds with ribbons on though because both of them were sold at the show. Now I need to get carving since I don't have any working birds ready for the pool contest at Westlake. This latest decoy represents a couple of firsts for me. For one, I've never done a black duck before. Secondly, this is my first decoy painted entirely in oil paints. I've been strictly an acrylic paint user up until this point. I was intrigued by some of the soft blends I've seen with oil paints so I decided to give them a try. Oil paints sure do behave differently than the acrylics I'm used to. There's some things I really liked about using the oil paint, but there were many more things I did not like. It's probably just a matter of getting used to the different techniques needed to use oils. I'm not giving up, but I'm certainly not going to give up my acrylics yet. This bird actually started off as a mallard hen. I had a very simple, but very cool feather and paint layout that I was really liking. Then I had to go and try to "improve" it and things did not go well. I eventually decided just to paint it up as a very simply black duck to try to get a better feel for the oils. I'm pretty happy with the outcome now.